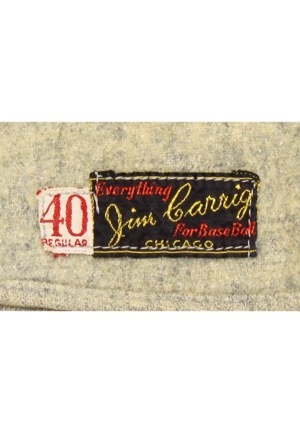 On the inside front left tail is the Jim Carrig “Everything For Baseball Chicago” distributor’s tag with an attached tag reading the size “40 REGULAR”. 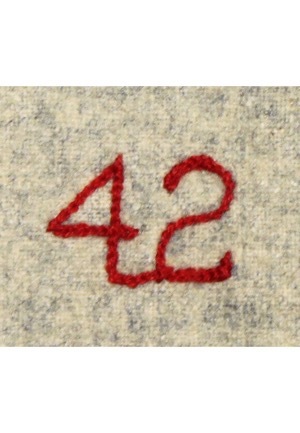 On the inside rear middle tail is the year “42”. 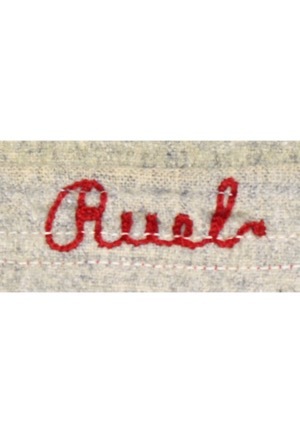 The coach name “Ruel” is in the rear collar. These are both embroidered in red chain-stitching sewn directly into the jersey. The zipper is fully functional. 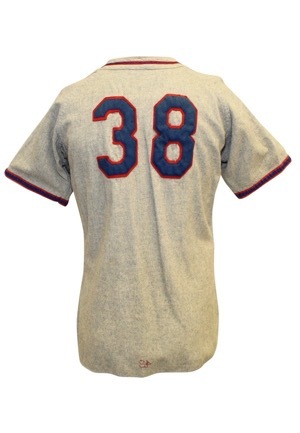 Across the chest reads “CHICAGO” and across the back is the coach number “38” done in blue on red felt. 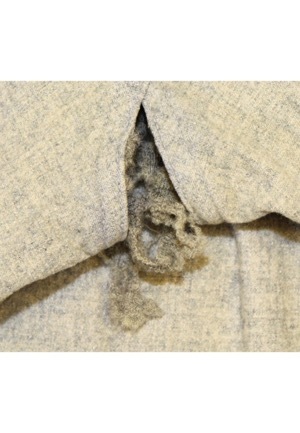 The "Health" patch has been removed from the left sleeve with the outline still present. 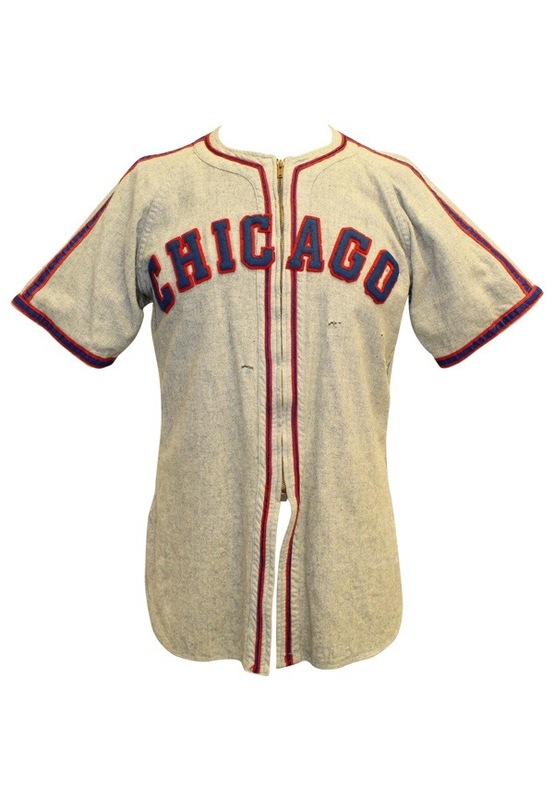 The fabric on the underarms is starting to separate and there are various holes throughout the front of the jersey due to aging. This jersey is properly tagged, was presented to us as coaches-worn and shows wear.